1. 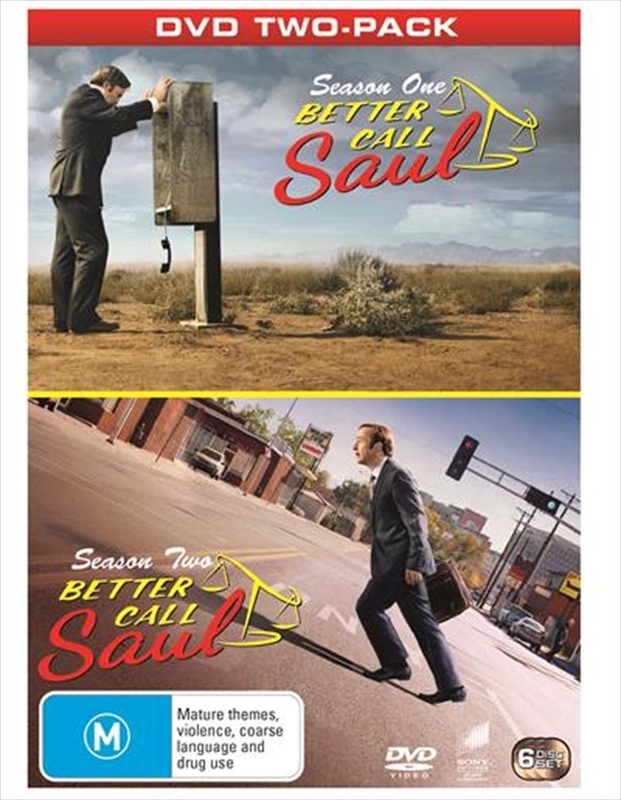 Season 1 - The trials and tribulations of criminal lawyer, Saul Goodman, in the time leading up to establishing his strip-mall law office in Albuquerque, New Mexico. Before Saul Goodman, he was Jimmy McGill. And if you're calling Jimmy, you're in real trouble. The prequel to "Breaking Bad" follows small-time attorney Jimmy McGill as he transforms into Walter White's morally challenged lawyer, Saul Goodman. 2. Season 2 - Jimmy grows closer to confidante Kim Wexler, while his relationship with afflicted brother Chuck McGill becomes increasingly complex. Mike finds himself pulled deeper into the criminal underworld. As Jimmy evolves (or regresses) towards its all good man, hes faced with impossible choices that foreshadow his future. Backstories are further revealed, along with new characters and nods to the Breaking Bad universe.